An Islamic terror cell in Switzerland plotted to blow up an El Al Plane in Geneva. Plots by jihad terrorists are almost ho-hum affairs as there are so many that we automatically link the words jihad, terrorism and bomb. The bizarre twist to this plant is that the Swiss secret service agent who revealed the plot by going undercover at an Islamic center in Geneva is now working for the Islamists. 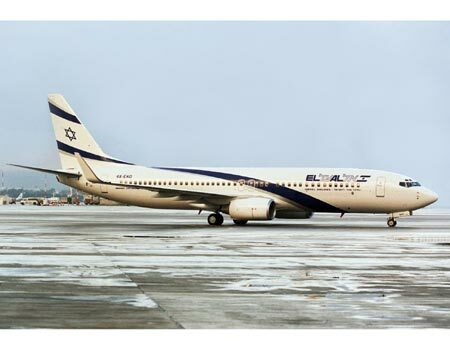 A plot to blow up an El Al plane at Geneva’s international airport has been thwarted. Swiss intelligence agencies uncovered a terrorist cell last December that plotted to strike an Israeli plane while it was taking off through an RPG rocket attack in December 2005. The plot to shoot the plane was uncovered by Claude Kuvasi, a Swiss secret service member who worked under the codename Babylon. Swiss newspaper Blick reported that Kuvasi was planted as an undercover agent in an Islamic center in Geneva to find out if a terror cell was operating in it. In order to encourage the trust of the head of the Islamic center, Hani Ramadan, Kuvasi converted to Islam. According to reports, one of the operatives of the centers told the agent, who was dining with him, that he was a member of a cell planning to blow up an El Al plane. Phone taps carried out by the Swiss agent found that the terrorist cell was made up of an Algerian immigrant, 40, named Assam, and a Libyan immigrant, 34, named Adar. Although the two lived in the Zurich area they planned on blowing up the Israeli plane in Geneva, due to the fact that the airport and its takeoff pad can be viewed with ease from surrounding mountains. The episode was kept secret for six months, until the Swiss agent exposed it on his own. Kuvasi, who became closer to the head of the Islamic center in Geneva, Hani Ramadan, feared that his new friend will face complications due to the fact that some of his students planned a terror attack. Kuvasi wrote a letter to Ramdadan saying his conscience guided him and he was therefore obligated to reveal how Swiss intelligence spied on him. The revelation has since taken a bizarre twist, with the Blick newspaper reporting that Kuvasi, who recently carried out a spying job in Syria, escaped his handlers, and is hiding in Egypt. The former agent is now hoping that the current revelation will prevent Swiss intelligence from interrogating and torturing Islamic suspects. So they Islamized the undercover agent. Going native, joining up, turning is a hazard for any undercover agent. For those going undercover among Muslims, the hazard is greater because the indoctrination by Muslims is so thorough and on-going, much like Communist indoctrination. Remember that Muslims are required to pray five times a day and attend Friday prayers, at which time they often hear fiery sermons condemning and ridiculing non-Muslims. The Koran is chock full of intolerance and violence and Muslims are fearful of appearing "non-islamic" that they spend all their waking moments trying to figure out things: in which direction they are oriented to pray, to use the bathroom, which products are "halal", with whom they can associate or even talk without being polluted, etc. This is a method of indoctrination and maintenance in which the Stockholm syndrome can be applied. Scrolling down the comment section at LGF where I found the story, I was alerted to another regarding CAIR and undercover monitoring of mosques using the Freedom of Information Act, "which was enacted by Congress in 1966 to give the public greater access to the federal government's records." In this case, our government's ability to monitor facilities, mosques, that aren't transparent, that have historically been used to spread jihad philosophy, and, in certain locations, have been used as citadels and weapons caches, will be hampered. "Also, based on the history of innocent people who have gotten into trouble due to incompetence, human error or even untruthful informants, it is necessary to insist on transparency from our government," Khan said. "This is our right as Americans." CAIR and the ACLU claim that "peaceful religious practices" go on in mosques. Monitoring is necessary to ensure that nothing else happens there. The day that Presbyterians or Catholics, or even Methodists are found to use churches in the same manner as have Muslims in our time, the government should monitor them as well. There would be no need for monitoring if people would do what they are supposed to do. 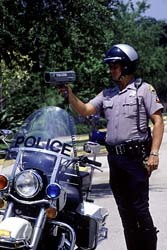 I notice that drivers slow down at our local speed trap only after they spot a sheriff's deputy ready to hand out tickets or after being tagged. The same principle applies. The founding fathers debated as to whether or not we should have a government. During the colonial period experiments without government abounded and settlers moving out into unchartered territory were thrilled when an authority was set up to help protect them from the anarchy caused by unbridled freedom on the frontier. People simply will do what they can get with, even "religious people." The complaint lodged by CAIR and the ACLU is another attempt to create a situation where Islam has unbridled freedom in West, a dangerous condition even if Islam wasn't so dangerous to non-Muslims. "The founding fathers debated as to whether or not we should have a government." The debate was over what KIND of government to have; given the various forms of government that existed in different parts of the world then (and in a lot of places now), it could easily seem to many that the form of government the Framers chose, with the many restrictions placed on the activities it was permitted to engage in, it must have seemed like there was no government. "Society performs for itself almost everything that is ascribed to government." Another of his sayings was that "Government can have no more than two legitimate purposes - the suppression of injustice against individuals within the community, and the common defense against external invasion." Given the few functions that the Framers expected the government to perform, the government of the new United States must indeed have appeared to foreigners to be almost non-existent. "Ask Spengler - - Yankee Noodle"
E pluribus unum? I no longer think so.